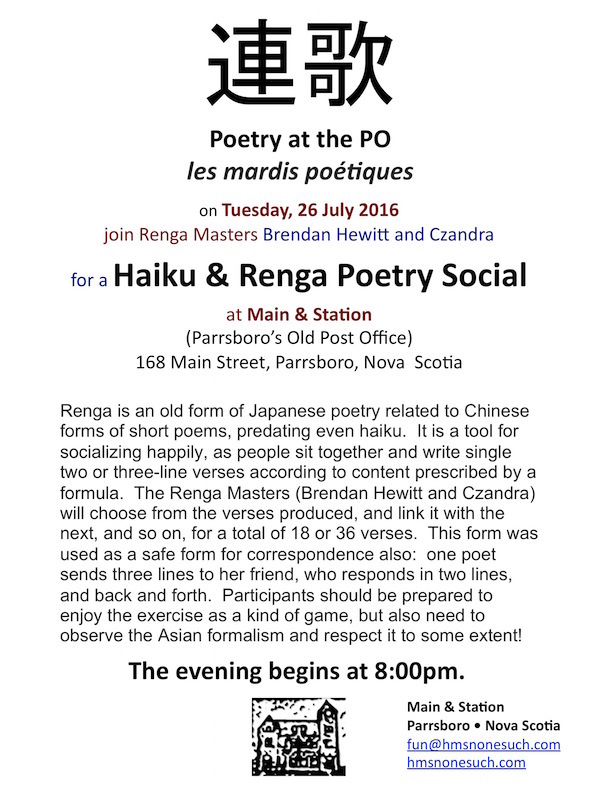 Renga is an old form of Japanese poetry related to Chinese forms of short poems, predating even haiku. It is a tool for socializing happily, as people sit together and write single two or three-line verses according to content prescribed by a formula. 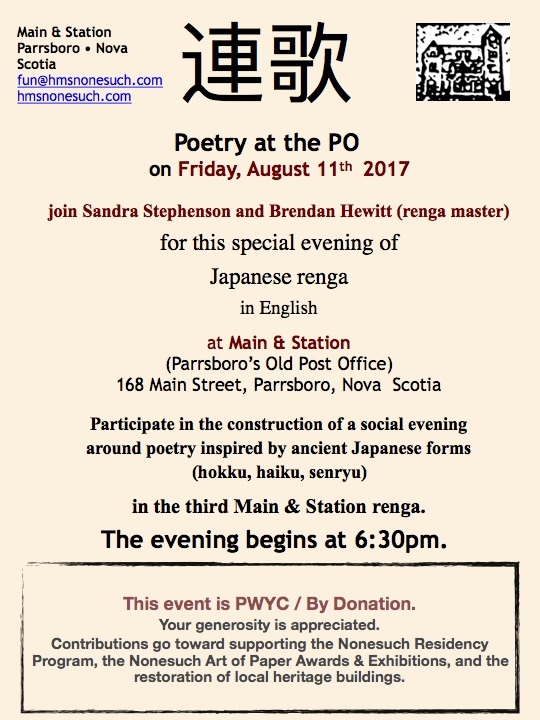 The Renga Masters (Brendan Hewitt and Czandra) will choose from the verses produced, and link it with the next, and so on, for a total of 18 or 36 verses. This form was used as a safe form for correspondence also: one poet sends three lines to her friend, who responds in two lines, and back and forth. Participants should be prepared to enjoy the exercise as a kind of game, but also need to observe the Asian formalism and respect it to some extent! 連歌 the evening will take place in English! Brendan and Czandra have participated in renga for several years. 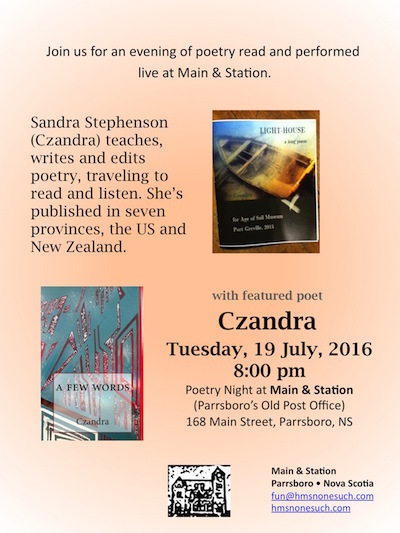 Brendan is known in his home town as the Haiku Master. Czandra compiled and printed hand-made haiku broadsheets for KaDo haiku group two years in a row, which were read consecutive springs at the Japanese Embassy in Ottawa. Both she and Brendan have read for the Japanese Ambassador from their own work. Both are members of Haiku Canada, and they’re married, with two sons.